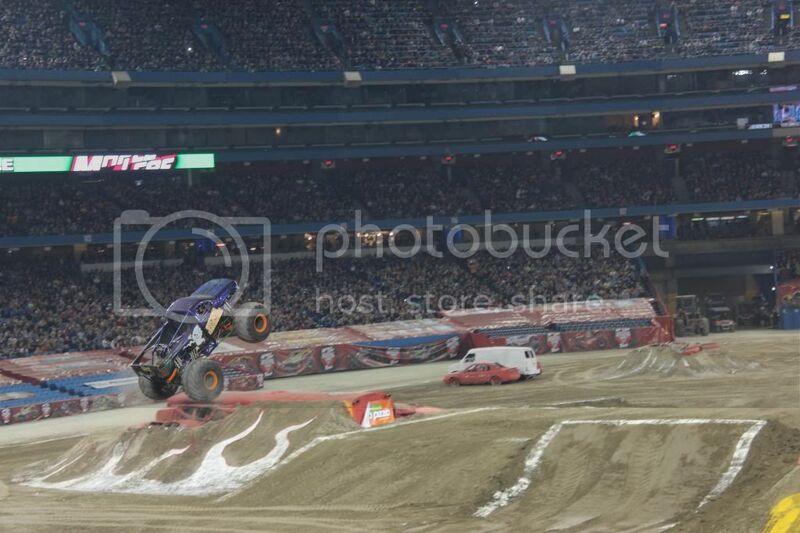 Our last week-end was totally dedicated to Monster Jam. First, on Friday evening we were invited to a Private Pizza Party in the Pit. 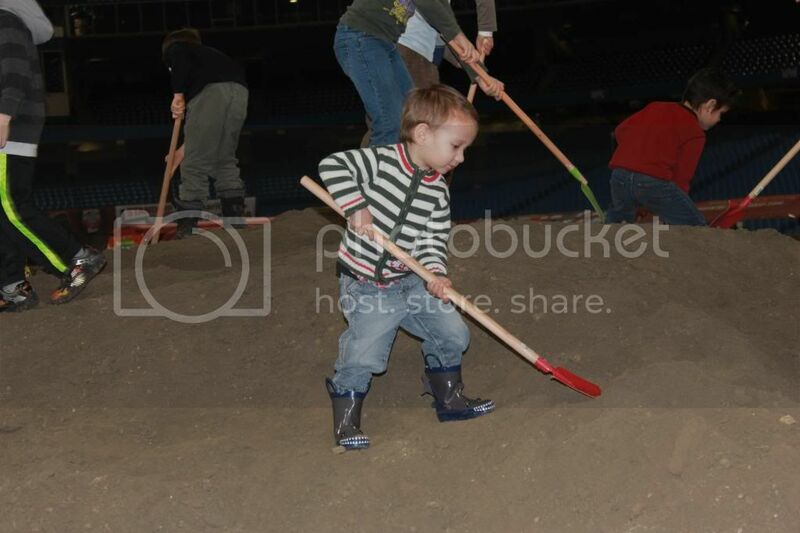 The Party was filled with lots of fun activities for mini Monster Jam fans including a dirt mound building and preparing a ramp for Toronto Monster Jam Show. 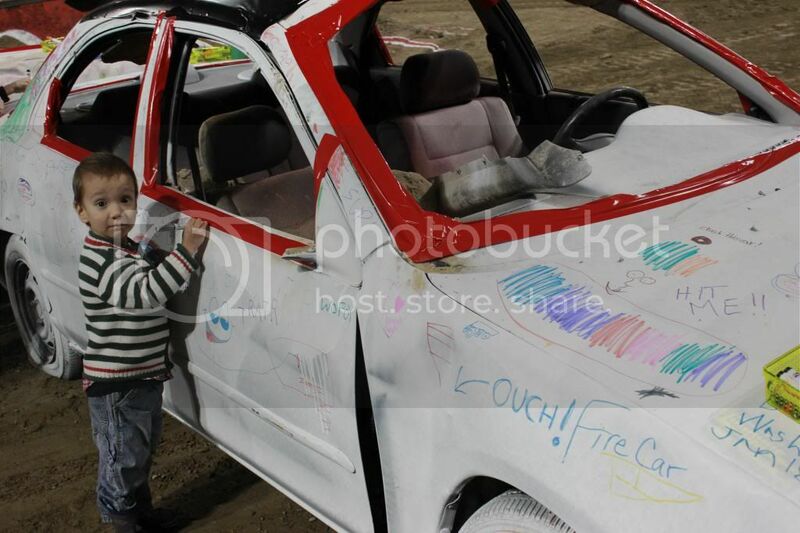 What could be more exciting than meeting Monster Jam drivers to get autographs and take photos and coloring crush cars! So after our pizza start Teddy was ready to put his boots into the dirt and dig with shovel something significant. 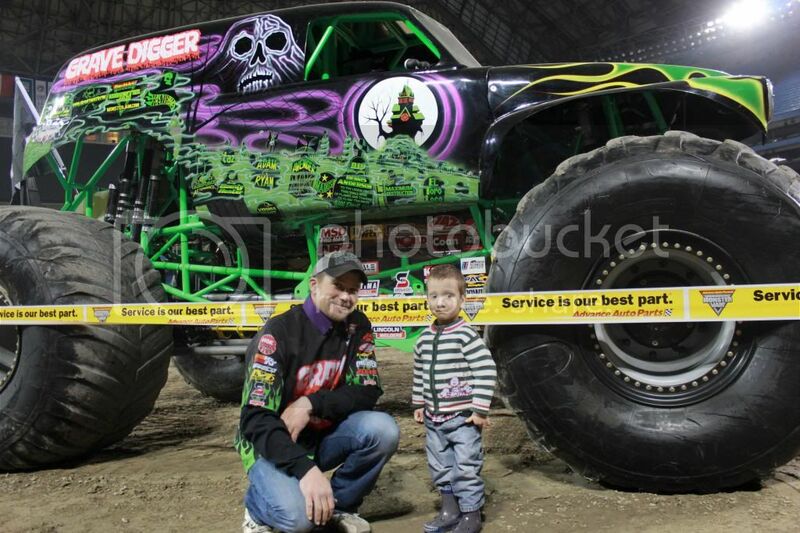 Then we took pictures with Monster Jam drivers, first one was with 2012 Freestyle Champion Cam McQueeen, Northern Nightmare driver, Canadian favorite and second one with incredible Grave Digger, Jon Zimmer. 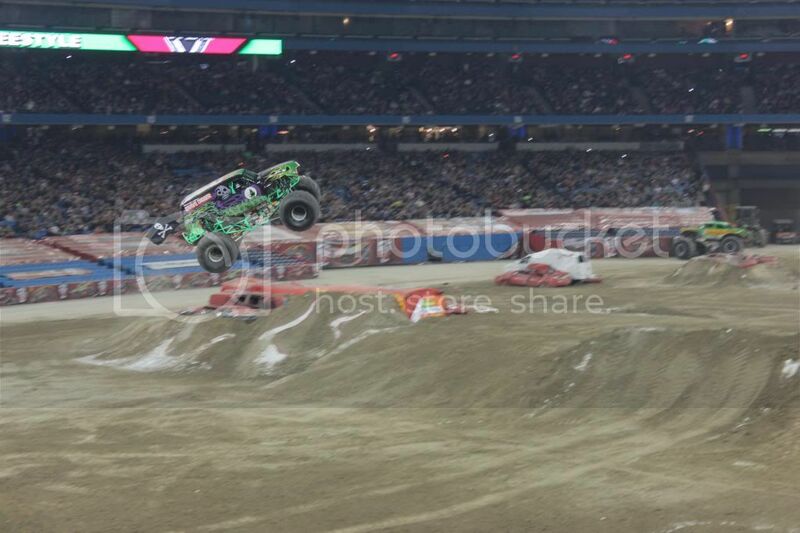 While watching Monster Jam shows I thought their drivers are quite tough guys because of all these crushing, racing, lifting and rolling over. But it turned out to absolute opposite; the drivers we met were more like our old friends and we were having a good time together at the party. It was so exciting to stand near these huge 10,000 lb. 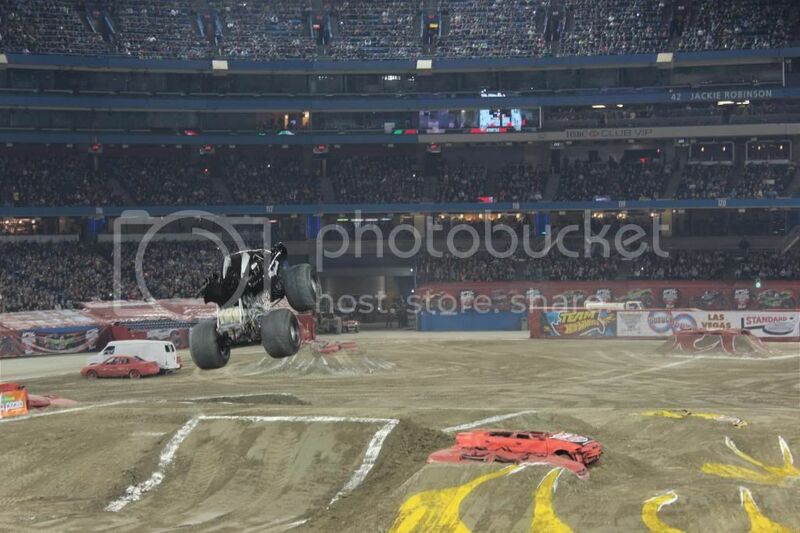 Monster Trucks; I wish I could drive one of them. 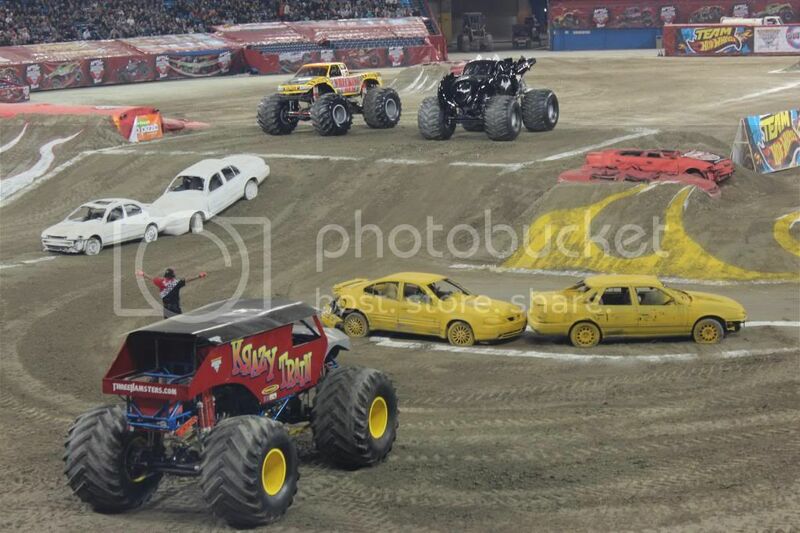 If you had a chance to have a Monster Jam show in your city, honestly recommend attending a Party in the Pit before the show, it is an unforgettable experience, just get charged for the rest of the year with these views of enormousness and hugeness. 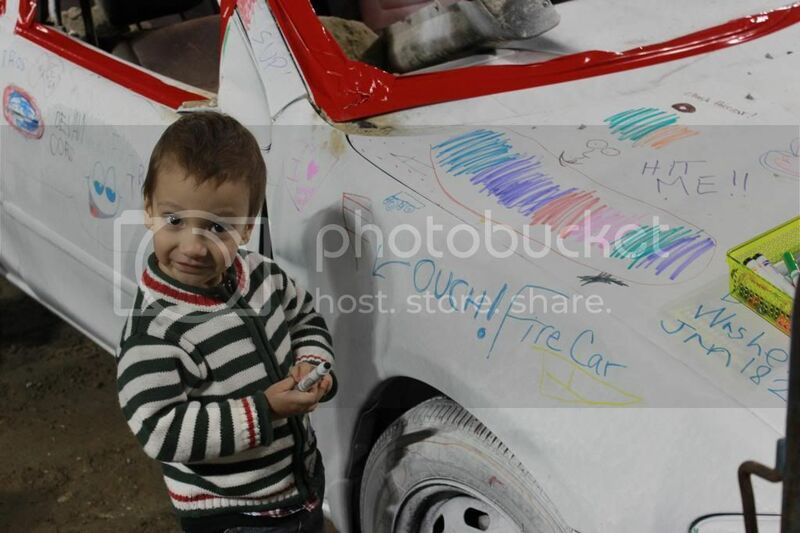 In addition to all the activities Teddy really liked coloring crush cars, after his art classes my boy was feeling he created a masterpiece since he was so involved and very picky with colours. 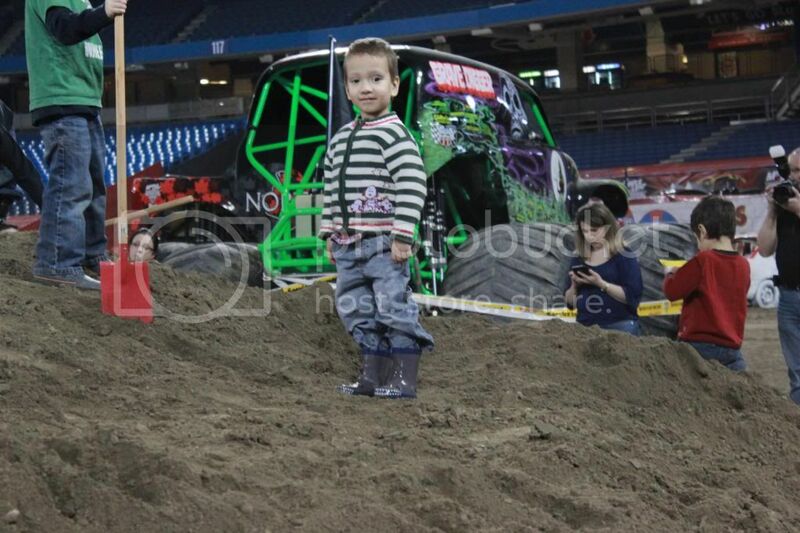 So we left the party so impressed and excited, Monster Jam show was ahead the next day! 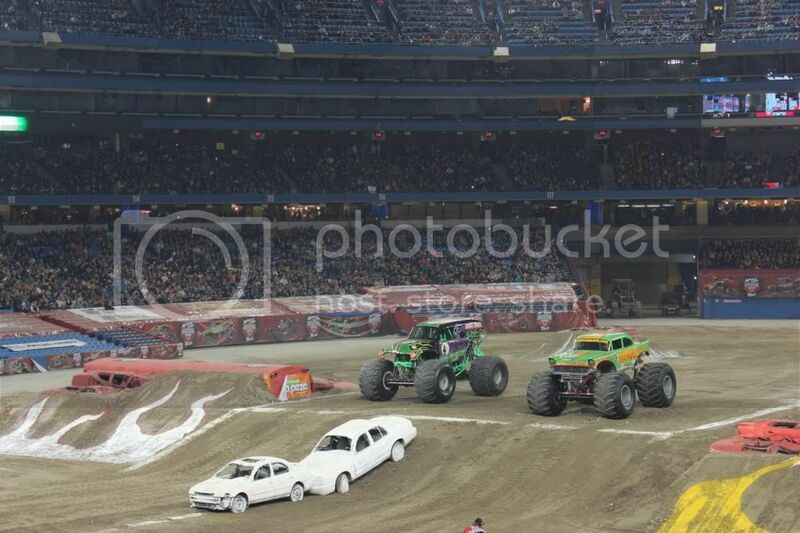 On Saturday we arrived to Monster Jam at Rogers Center well prepared, we took ear plugs( it was really noisy), flags and put on temporarily tattoos. 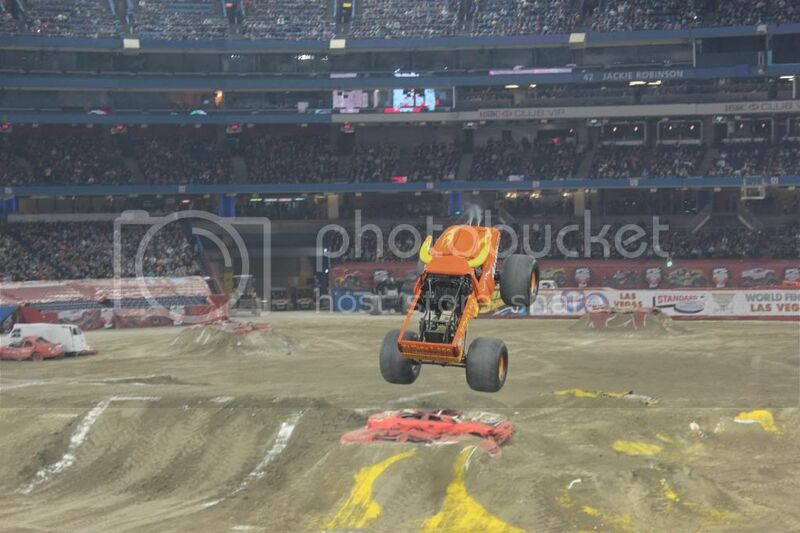 We could hear “Monster Jam” everywhere in the air the first step we were out Union station. Lots of people outside and inside the Rogers Center that day ready for the roars and races. 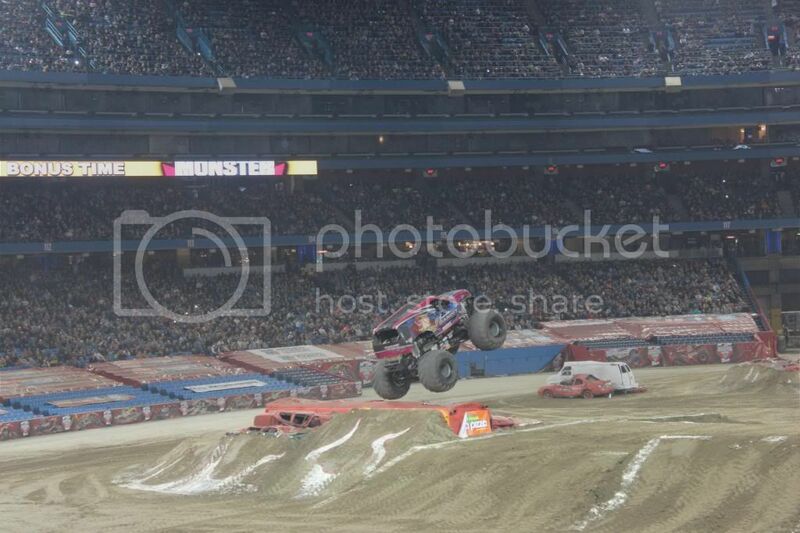 The atmosphere of excitement and craziness filled Rogers Center during the show, and this noise made the audience to follow every move, every turn and jump trucks made. The lighting there was just incredible. 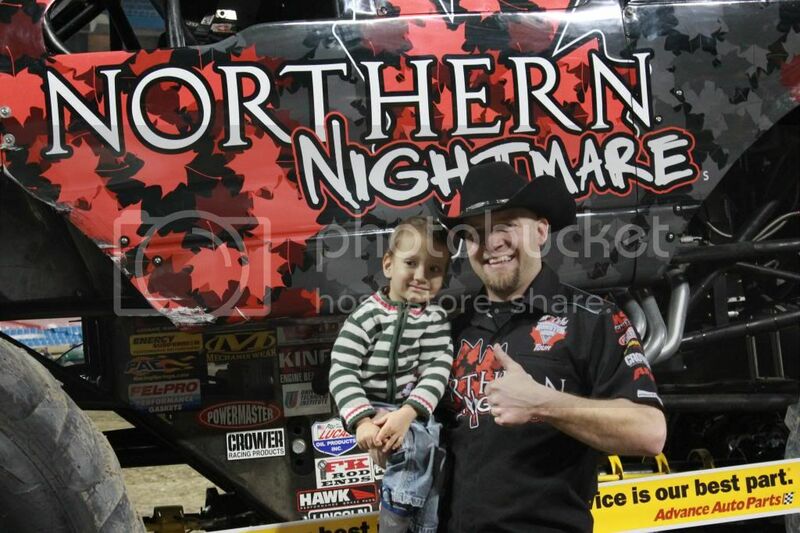 Teddy was excited to recognize the trucks we saw the night before Northern Nightmare & Grave Digger and watched with interest at new ones: El Toro Loco, Avenger, Bat Man and many others. We loved everything in the show how trucks fly in the air, races, trucks designs, crushing, speed and noise. 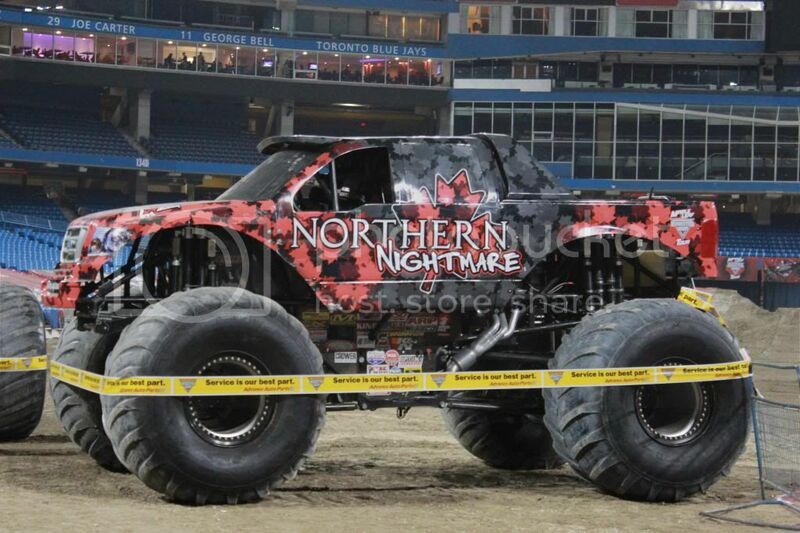 So if you are ready to experience the real drive MAPLE LEAF MONSTER JAM continues touring across Canada, check the dates and get ready to have fun. That private pizza party looks so cool! 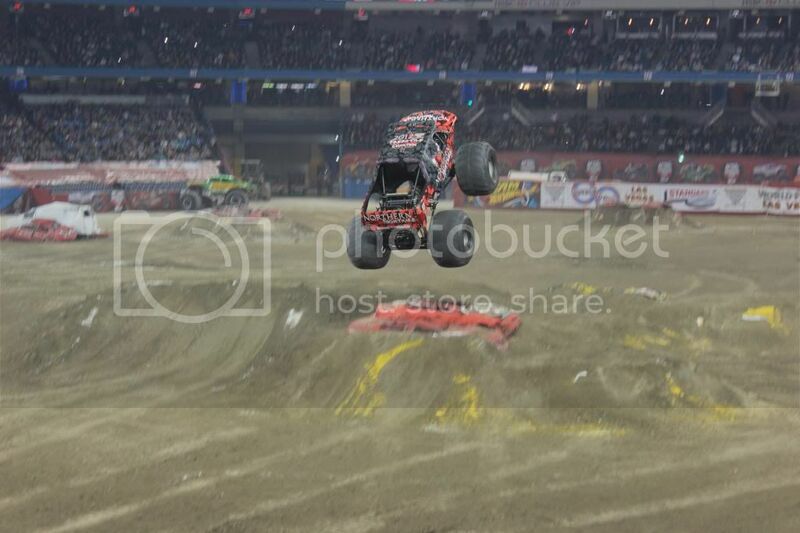 You can be in the pit and go have fun, though you can’t drive the trucks. Teddy looks like he is really excited and happy in those photos. 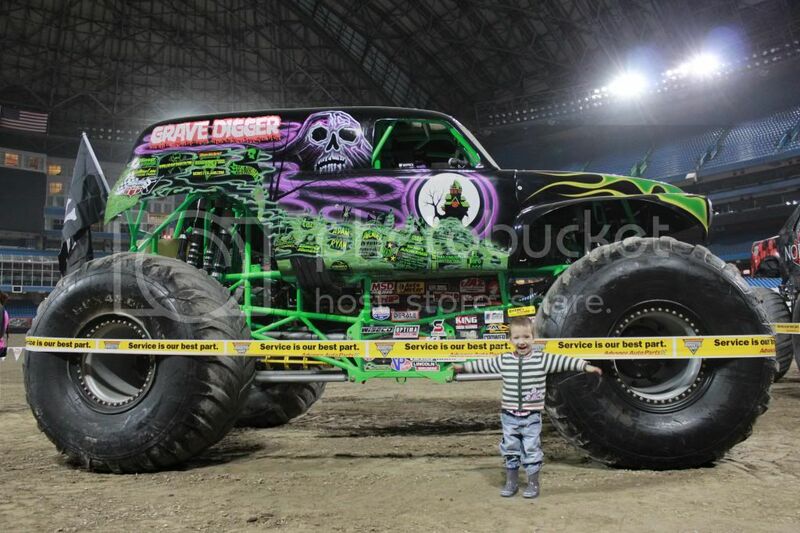 It’s amazing how he wasn’t even afraid at being near those monster trucks with tires that are so huge! Overall, I see that was an incredible experience for all of you. Thanks for sharing!